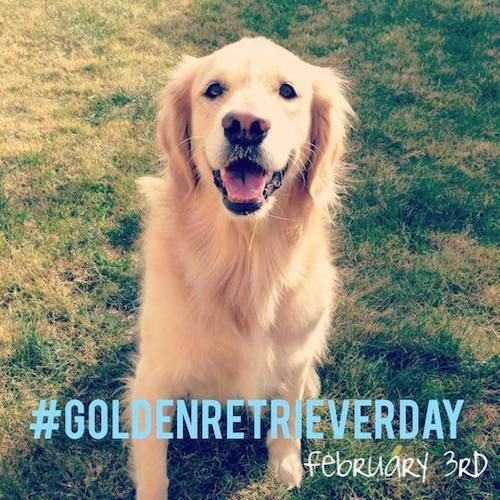 Golden Retriever Day is THIS FRIDAY – February 3rd! 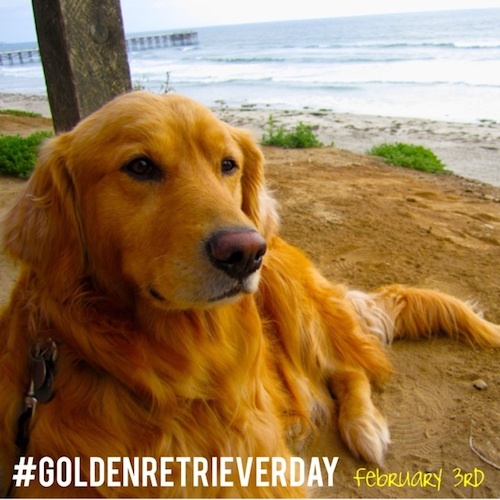 Mark your calendars and help us spread the word using #GoldenRetrieverDay in your posts! 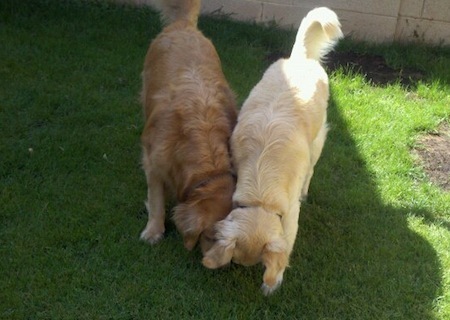 Join our iheartgoldenretriever Facebook community to join in on the fun! Let’s have some fun and start a viral #PetCostumeParade! 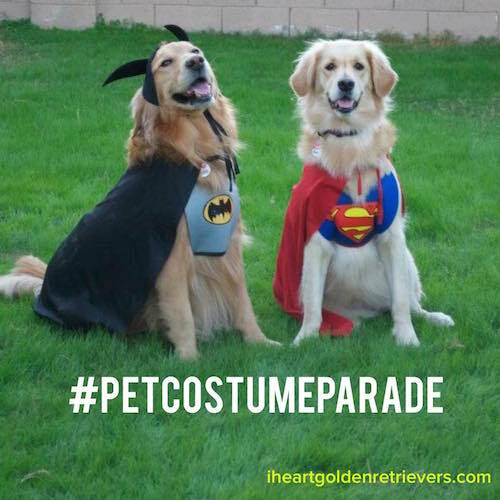 Share a pic of your fur-friend in costume using the hashtag: #PetCostumeParade. Read, set, go! On November 19, 2014 we had to say goodbye to our sweet boy, Quincey. We lost him to Cancer. He was only 7 years old, and we were lucky enough to be his family for 5 of those years. He may be gone now, but his paw prints will forever be on our hearts. Quincey was more than just our dog, he was truly a member of our family and my best friend. He was there to welcome my husband and I home after our wedding, and after the births of both of our daughters (that he was so gentle and kind to). He was always there – at the door when I came home, by my feet when I worked, by my bed when I slept, at my chair when I ate – always there with his sweet smile and love to give. It’s been nearly five months since he passed, but I’m still not used to him being gone. 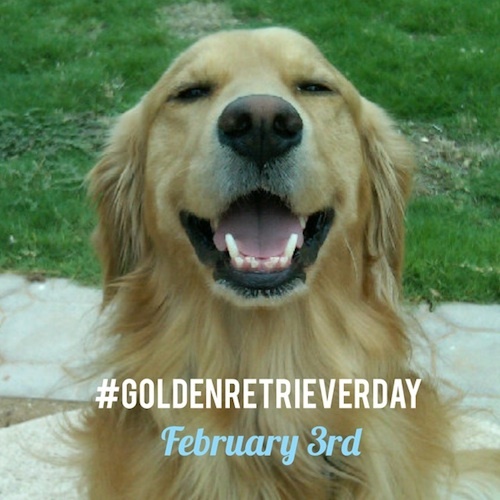 Quincey inspired us to start this blog, and create “Golden Retriever Day” (which falls on February 3rd, his birthday). We know many of you have gone through this difficult loss – please share your memories with us. 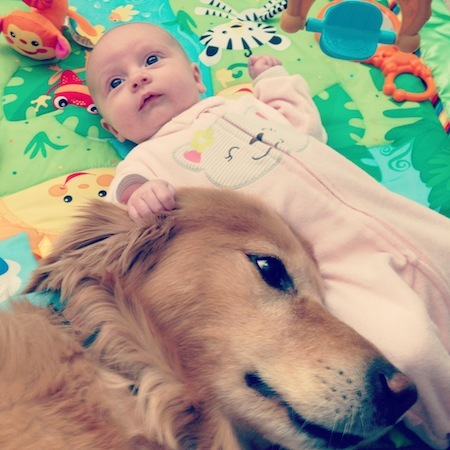 From our home to yours – happy Golden Retriever Day! We started off the day with some pampering at the groomers – now we’re off to our favorite park for some fetch and sniffin’! 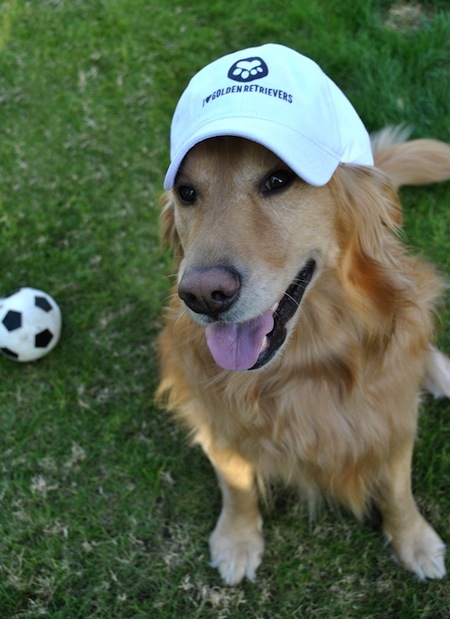 Please share your photos with us using #GoldenRetrieverDay! Feel free to use the photos below to help spread the word! 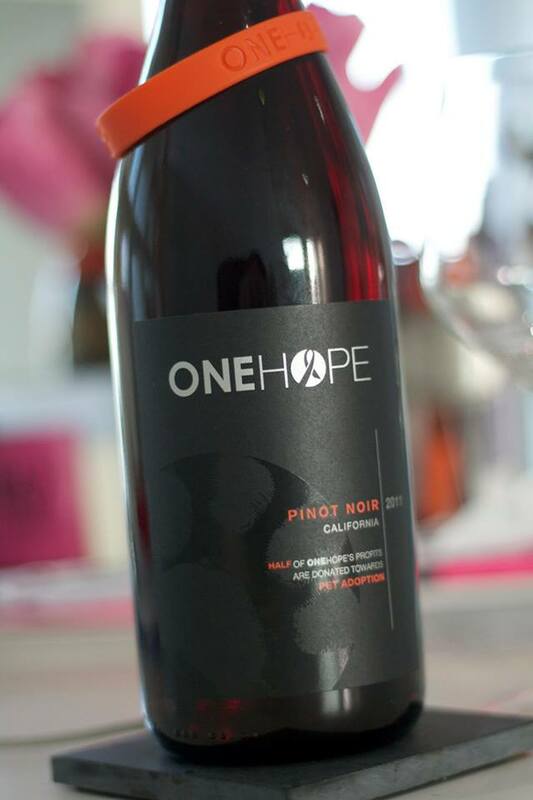 Our friends at ONEHOPE Wine just released a new California Pinot Noir (they are calling “Pinot for Paws”) where every case sold helps a homeless animal find its forever home through the ASPCA. How cool is that? We first tried it at one of our favorite local restaurants, and loved it so much we purchased a case! It’s such a fun wine to give as gifts and take it to dinner parties (since, like us, all of our friends are obsessed with their four-legged children!). 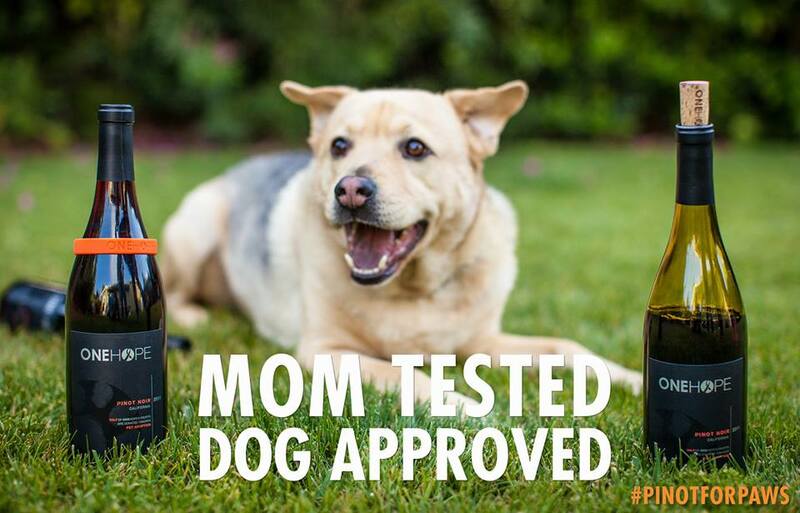 Like them on facebook and share your pet pictures with them using #PinotforPaws on Facebook & Instagram. 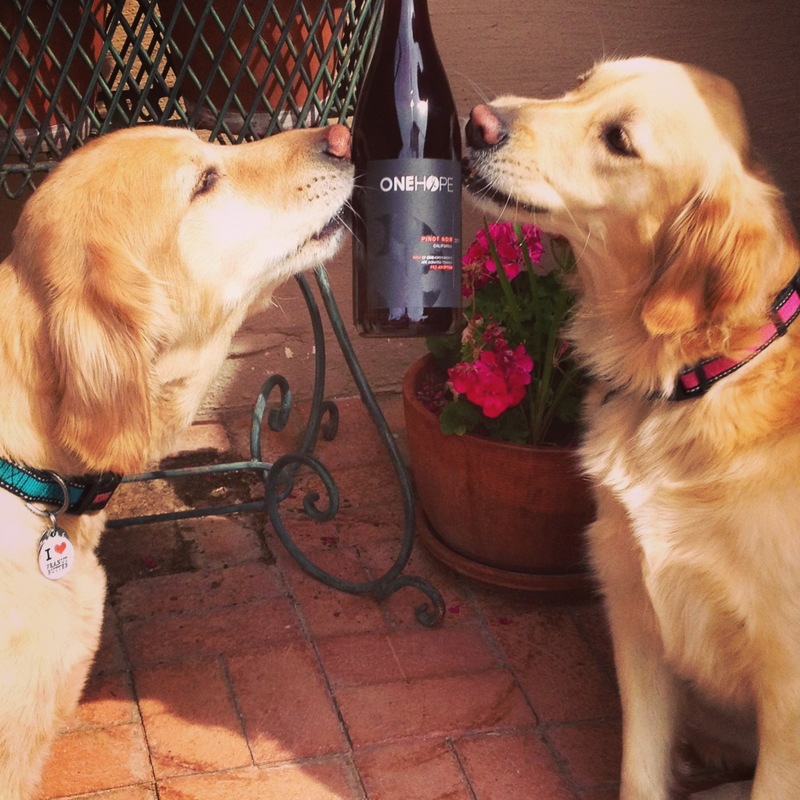 This wine does so many wonderful things for the animal community.. that these guys just had to give it a kiss! 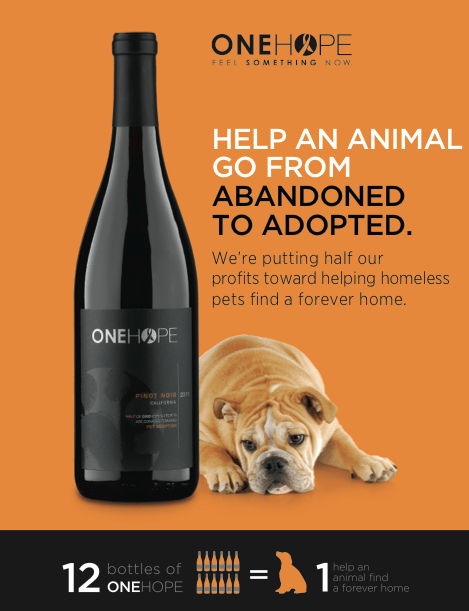 Thank you ONEHOPE for making it easier than ever to help our furry friends! Cheers!! When the Easter bunny comes to your house, make sure he leaves behind some treats for your pups! It’s a family tradition we do every year – really easy to do and fun to watch! Step 3: Show them their plate of treats before you hide them – they will go crazy! Step 5: The hunt begins! 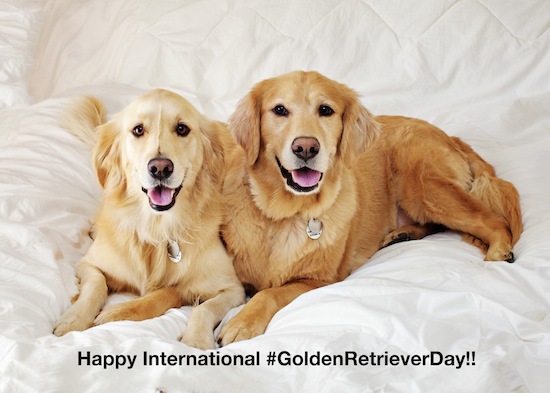 From our home to yours – Happy International #GoldenRetrieverDay!! What are you doing today to celebrate? Here are some of our tips! Wow, how lucky for all of our pups that it falls on the Super Bowl this year! I’m sure they’ll get a lot of extra snacks today. The love of a pet is needed most during times of grief – so we loved hearing that Golden Retriever Therapy Dogs visited the town of Newtown, CT to comfort those affected by the horrific shootings at Sandy Hook Elementary School. 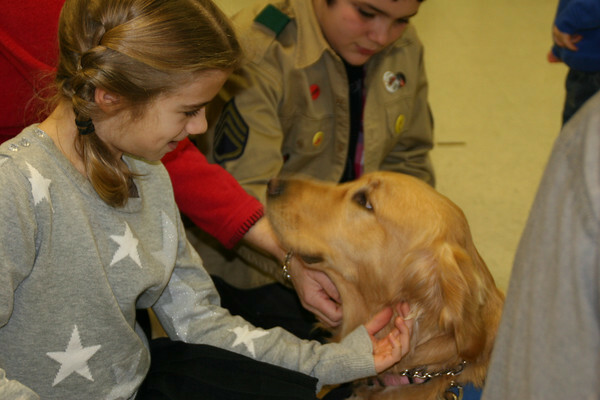 The Hudson Valley Golden Retriever Club & the K-9 Comfort Dog Ministry are just a few of the many pet support teams that have visited the community, providing a much needed smile and cuddly comfort to the children and families. 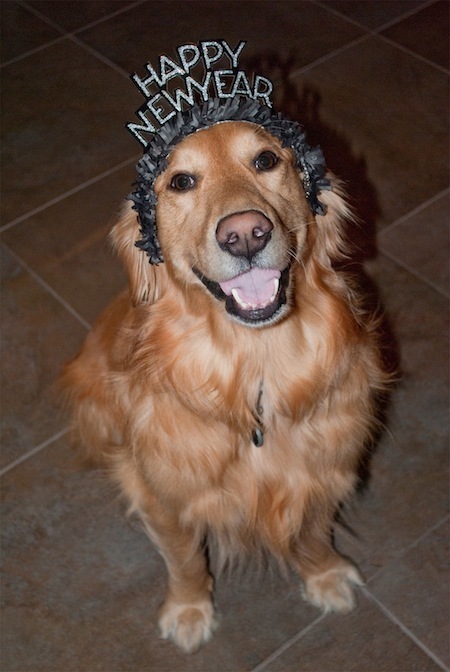 We also encourage everyone to join Ann Curry’s #20Acts & #26Acts of kindness to honor the Sandy Hook Victims – maybe your Goldens can help? You can also donate to the Golden Therapy teams listed above.